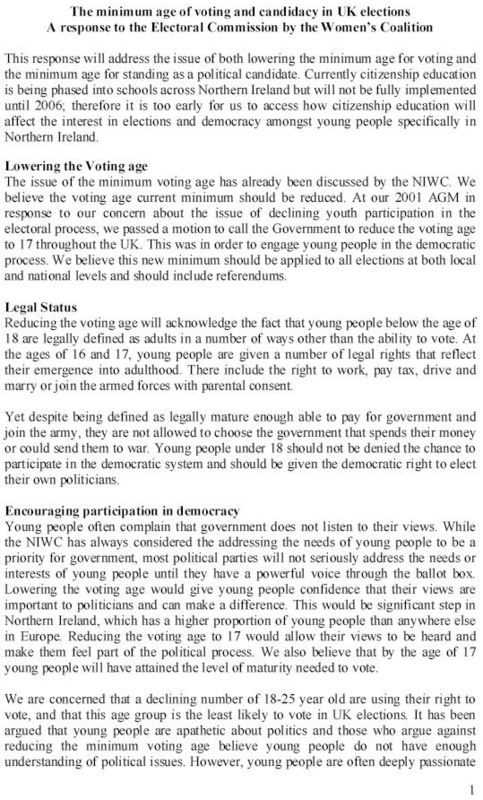 From early 2002 a policy paper entitled, “Creating a Soccer Strategy” -A Response by the Northern Ireland Women’s Coalition. 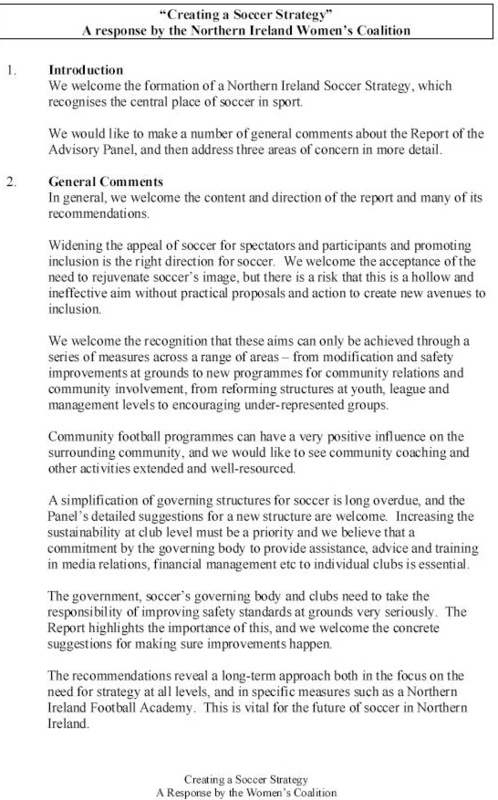 “Creating a Soccer Strategy” were the conclusions of a ministerial advisory committee which was published in December 2001. The committee included amongst others Martin O’Neill, Sammy McIlroy, Bryan Hamilton, Gerry Armstrong and Billy Hamilton. Upon its launch the then Sports Minister Michael McGimspey said his initiative was not aimed at short-term solutions. Things have possibly got worse since. From the 1998 Good Friday Agreement Referendum , a flyer urging a Yes vote from the Northern Ireland Women’s Coalition (NIWC). Founded in 1996 by Monica McWilliams and Pearl Sagar, the NIWC won 2 seats in the 1996 Northern Ireland Forum Elections. The Party then won 2 seats in the 1998 Assembly elections through Monica McWilliams and Jane Morrice. In the 2003 Assembly elections both seats were lost and in 2006 the party wound down.